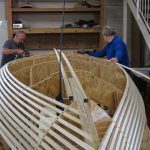 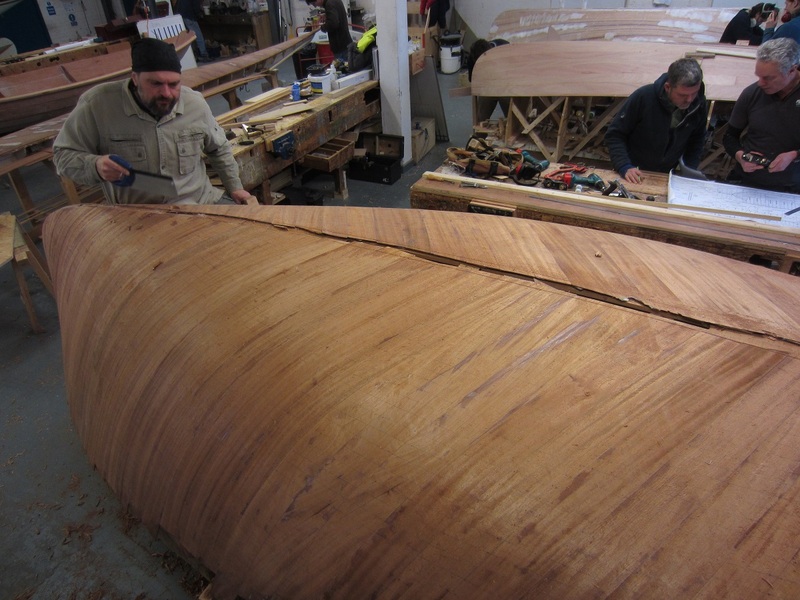 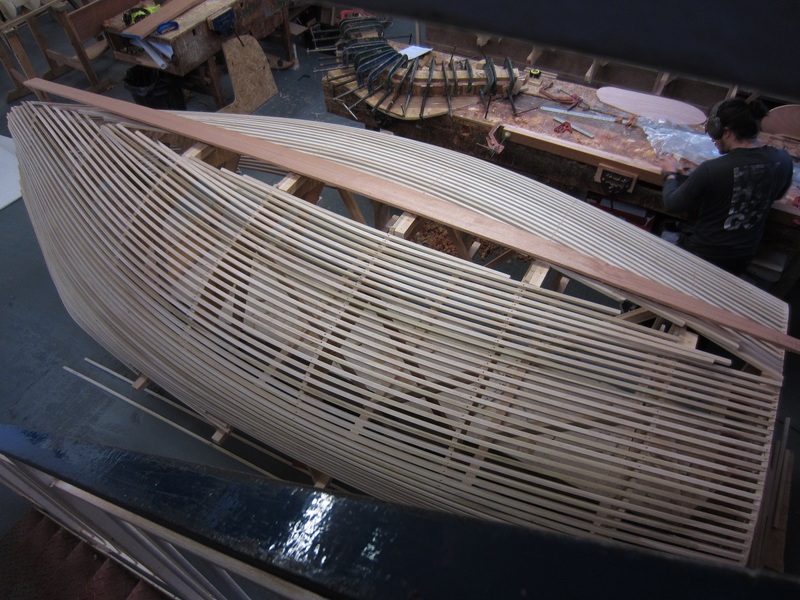 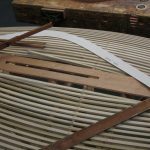 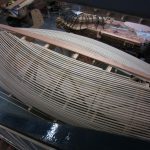 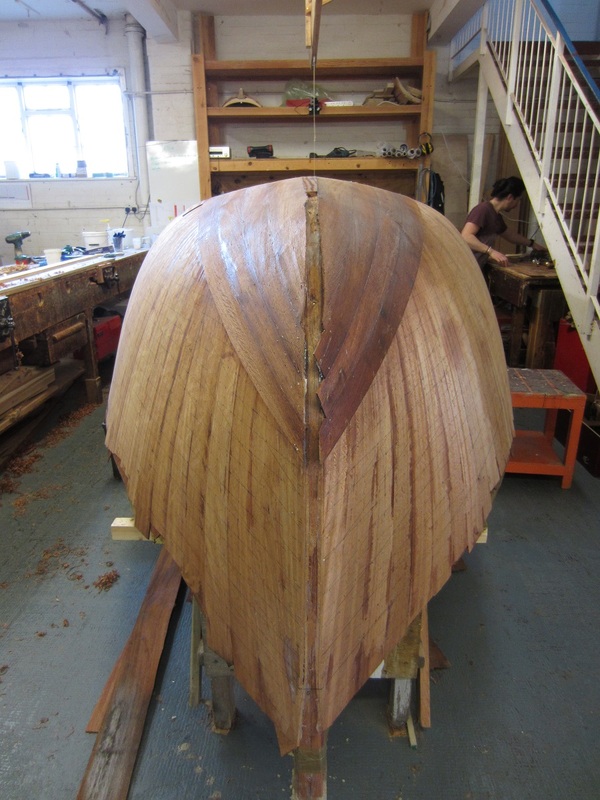 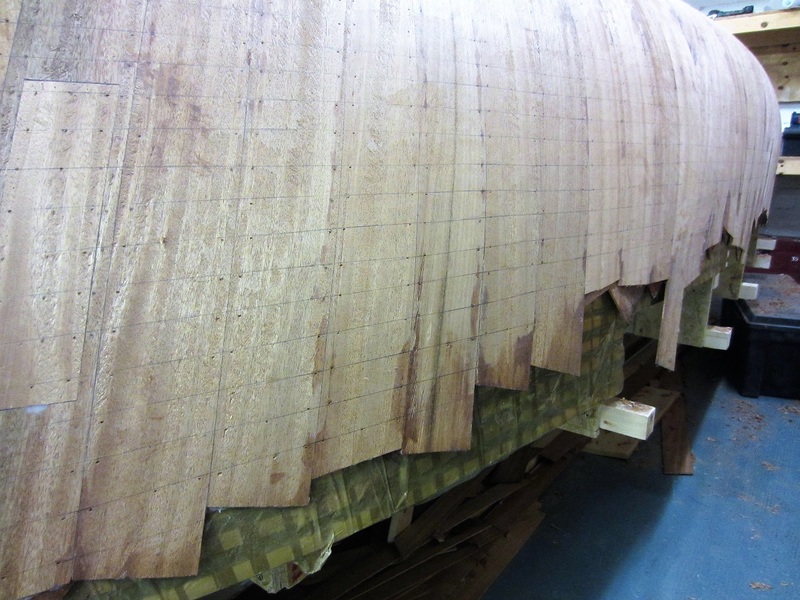 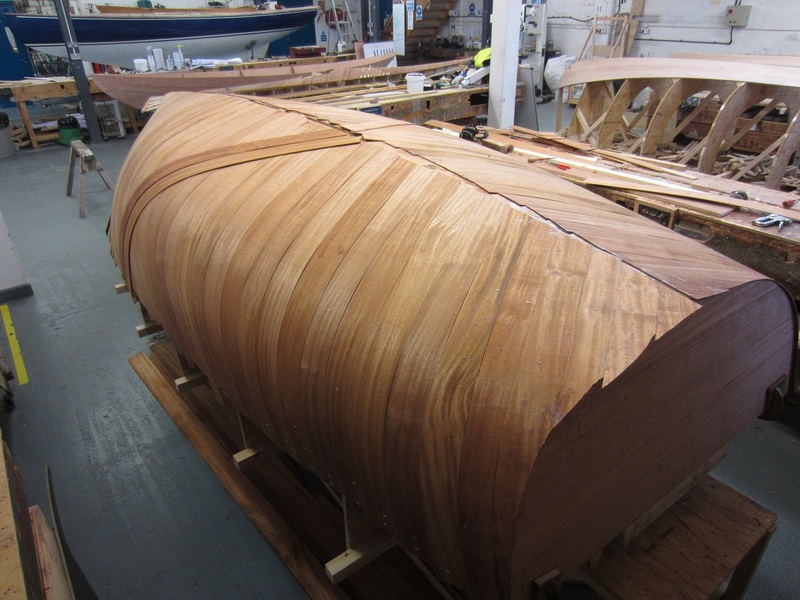 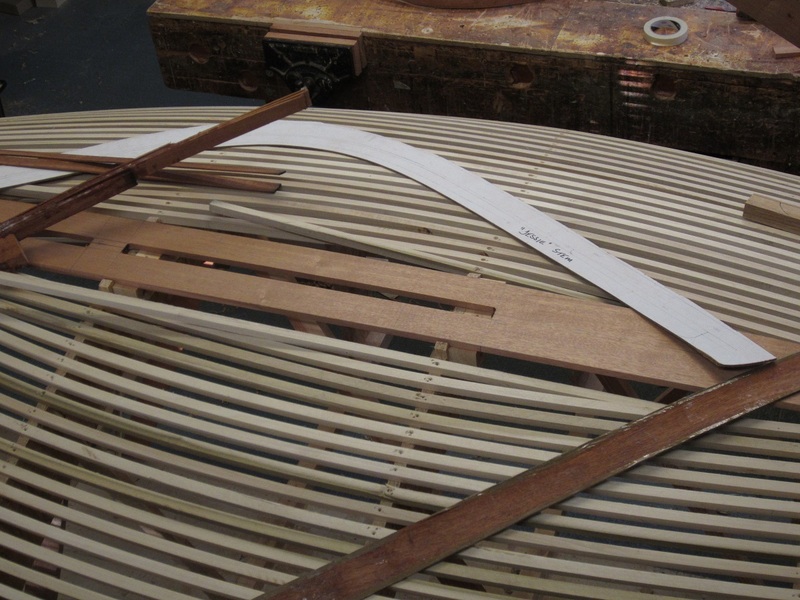 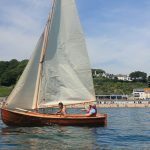 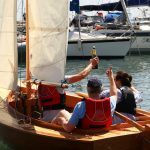 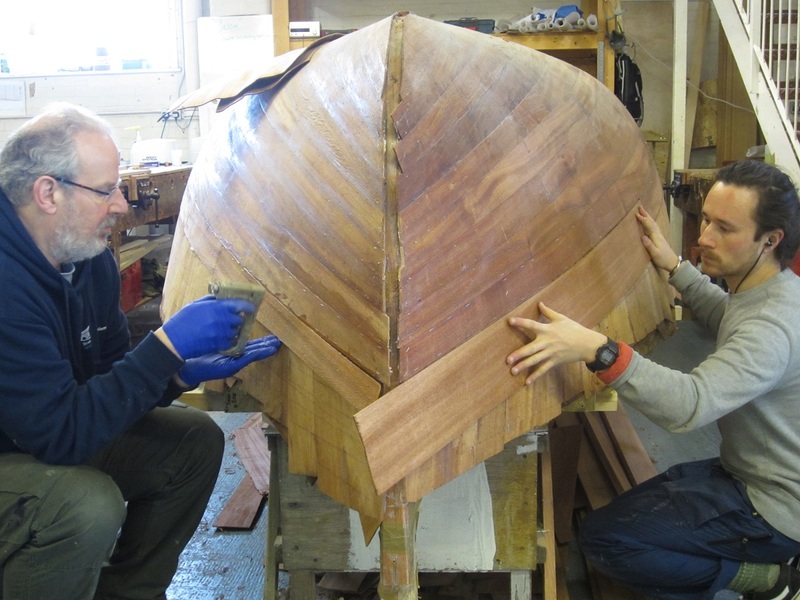 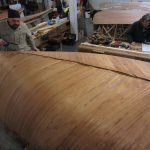 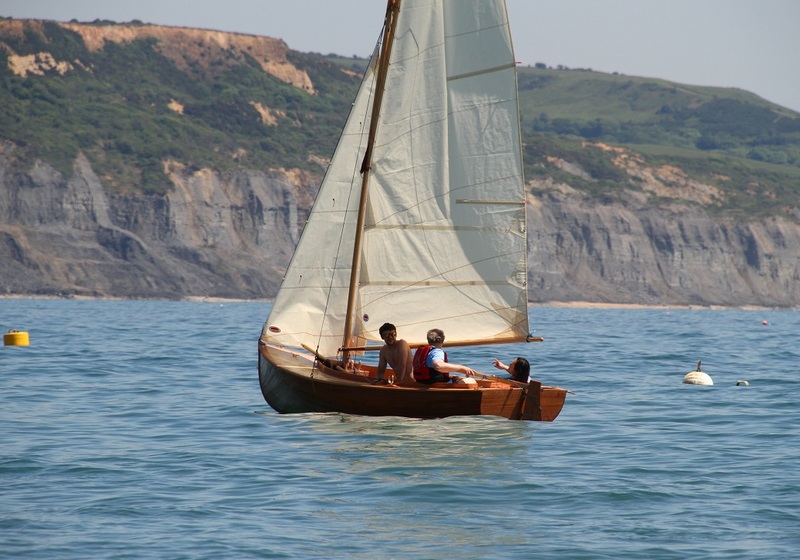 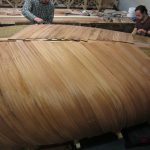 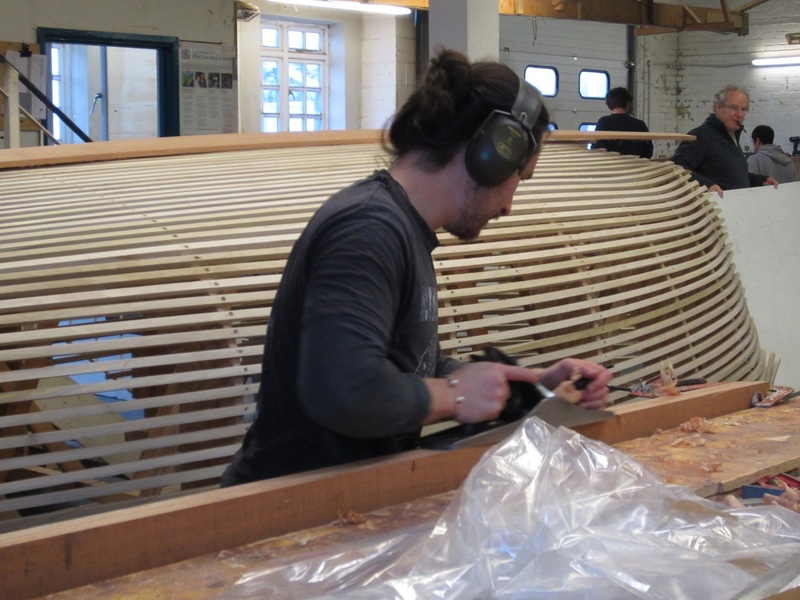 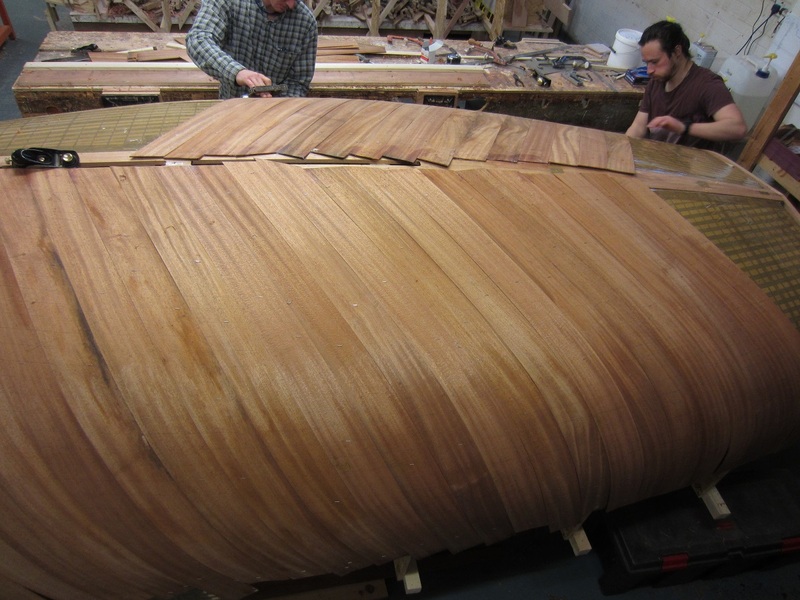 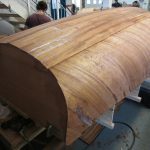 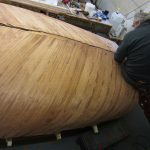 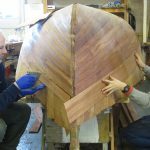 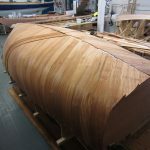 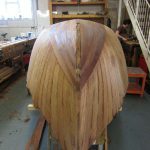 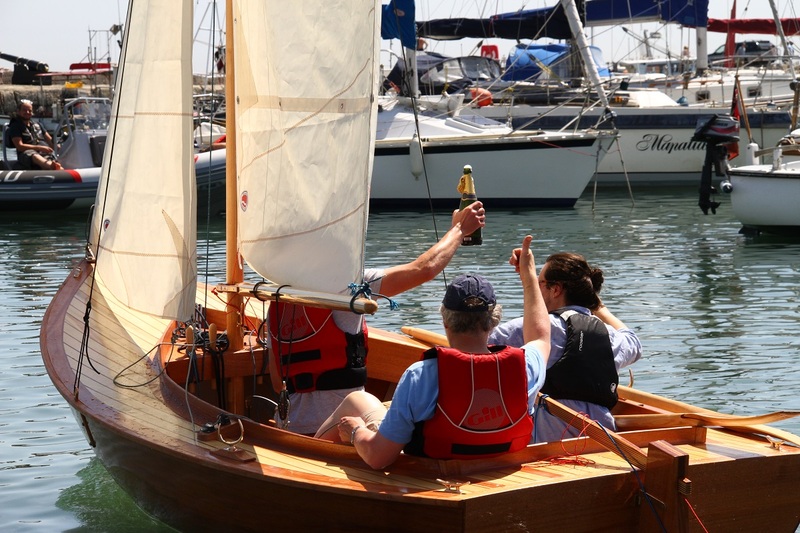 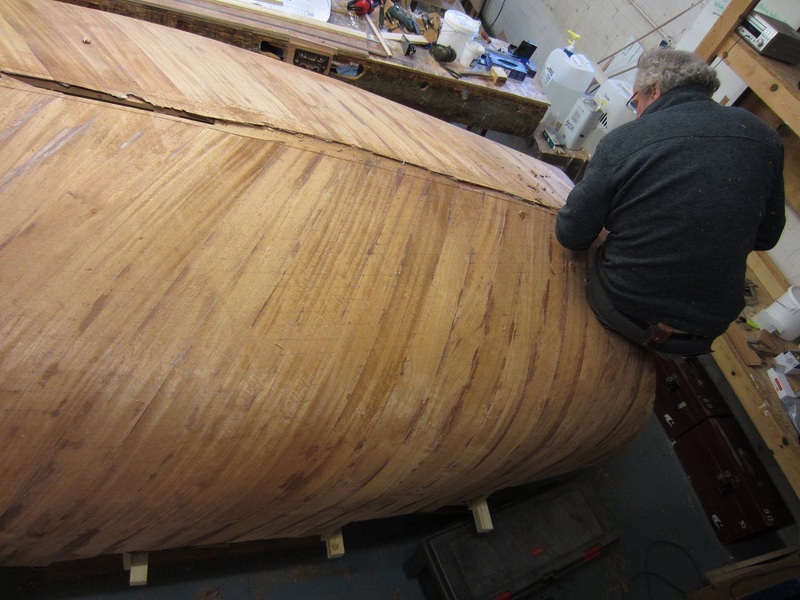 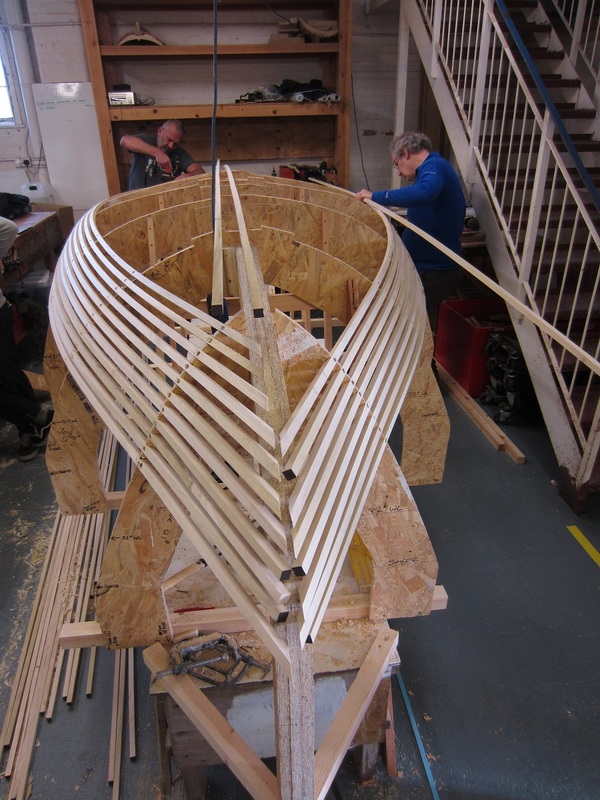 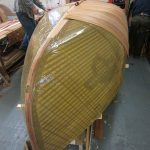 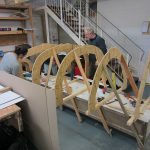 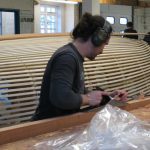 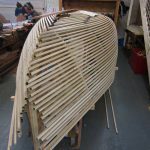 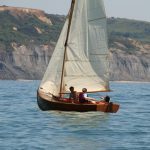 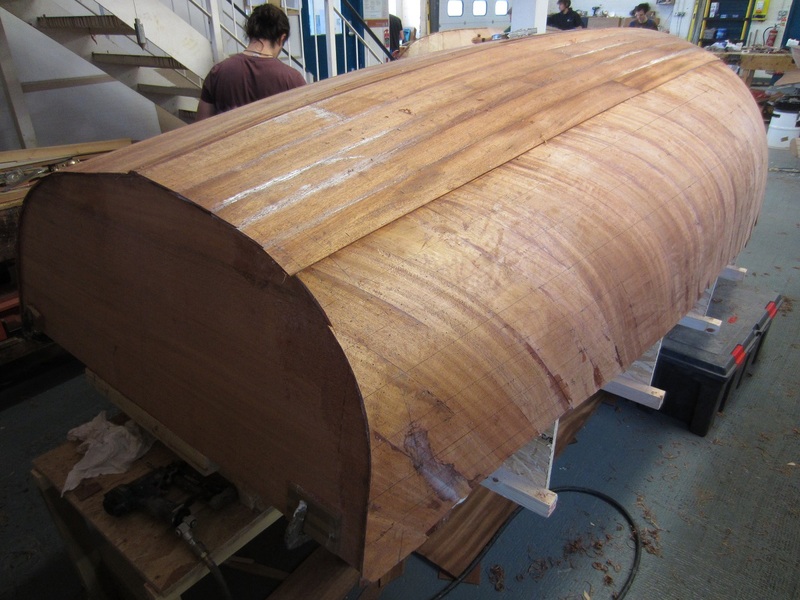 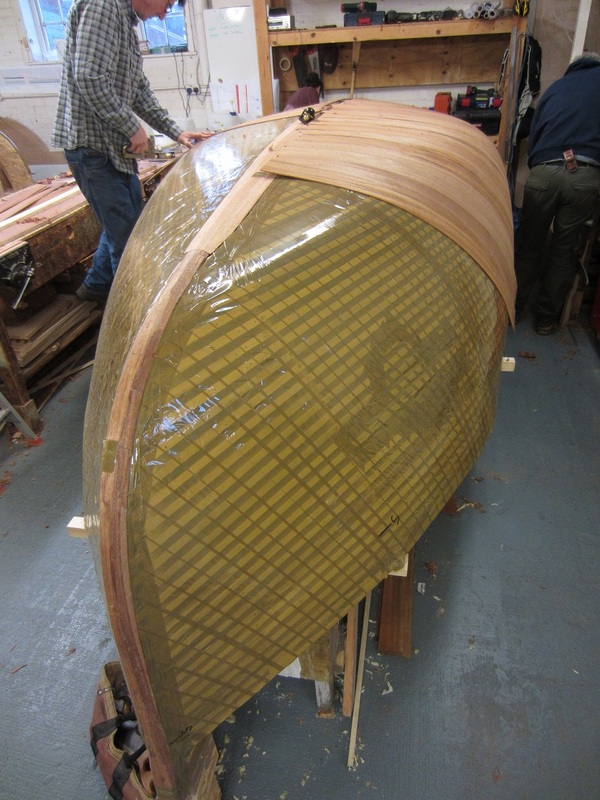 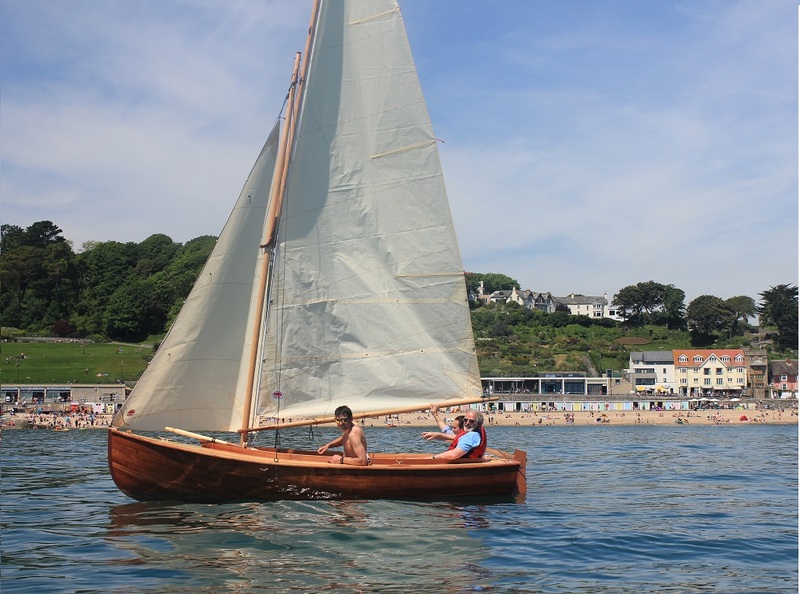 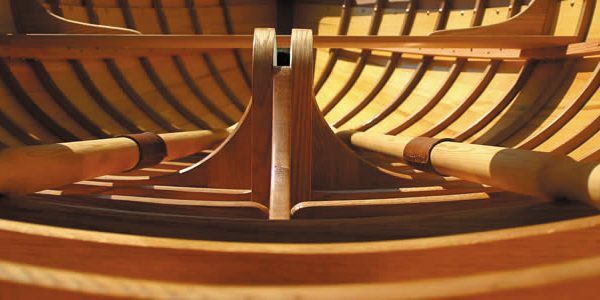 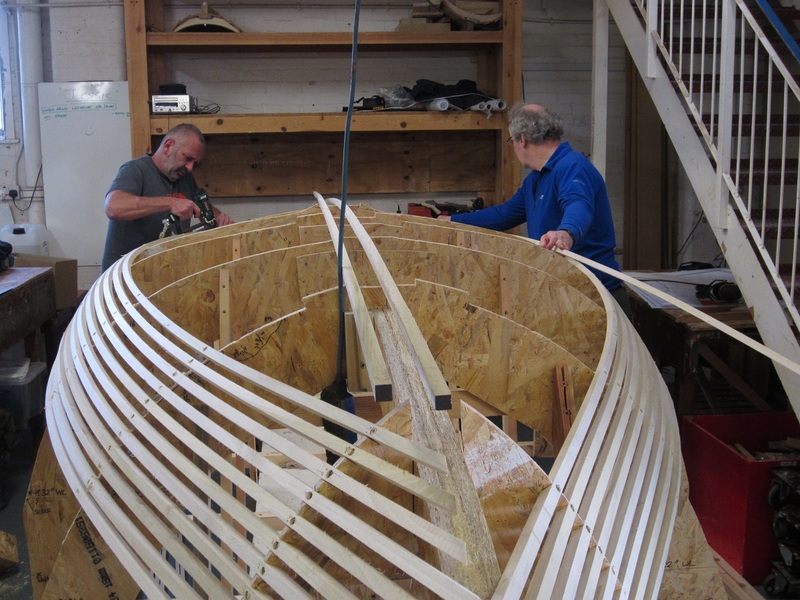 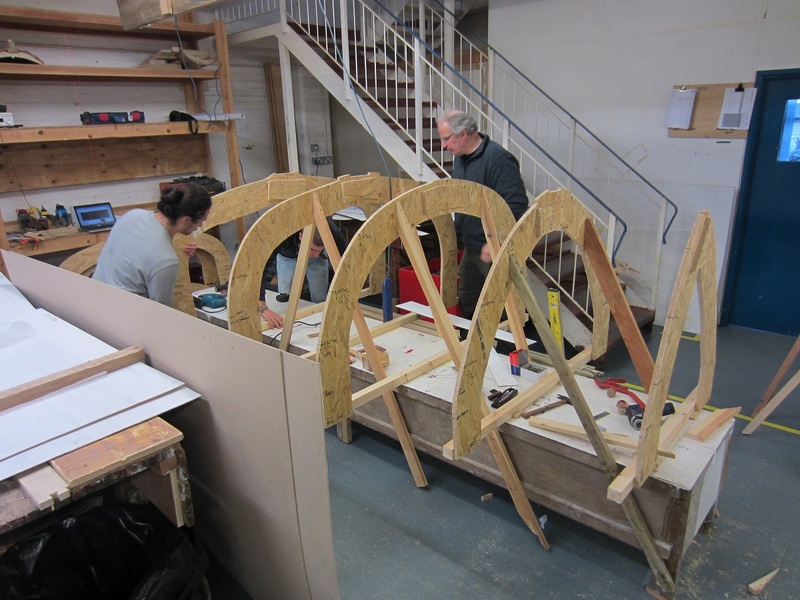 The Paul Gartside ‘Jessie’ was originally designed to be built with a double layered skin of cedar, Gareth’s boat will be cold moulded in three layers of Khaya veneers. 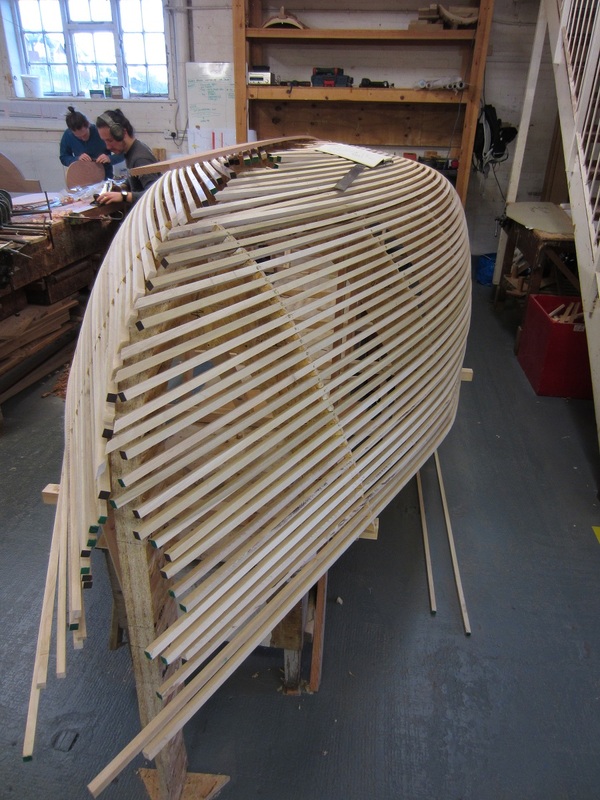 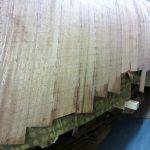 The backbone will also be of Khaya and the spars will be in spruce. 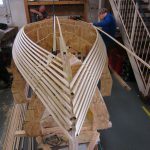 The planking will be glued using epoxy and held in place during the construction process using plastic brads, nails with small heads.